DESCRIPTION Welcome to where life is simplified in the most sophisticated way. Where you can unplug and reconnect with what really matters. The Everly plan wastes no space & offers an open plan. The kitchen features oversized pantry, gleaming quartz counters and stainless steel appliances that opens to the dining and living room. Upstairs you’ll find upper level laundry, and three bedrooms. The owner's suite offers a huge closet and full ensuite including double sinks. This home backs onto the community park, skating rink and garden and comes fully landscaped! **Photos are from the showhome/previous builds to demonstrate quality of construction and finishes and may not be an exact representation of this home. ** Show home hours are Monday - Thursday 4-8pm and Saturday & Sunday 12-5pm. Home for sale at 205 Vista Dr Crossfield, Alberts T0M 0S0. 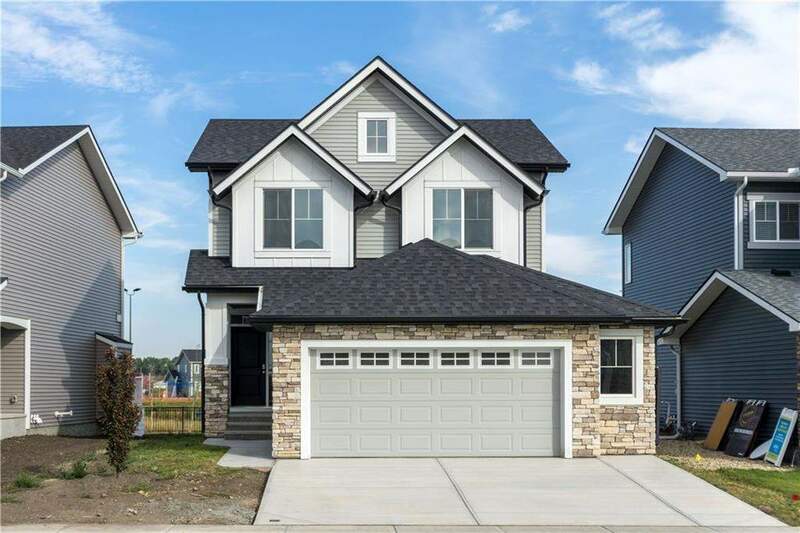 Description: The home at 205 Vista Dr Crossfield, Alberta T0M 0S0 with the MLS® Number C4166370 is currently listed at $369,400.